Your body possess a complex, sophisticated system that controls your heart rate from moment to moment. Various nerves throughout your body continuously monitor your blood pressure, oxygen and carbon dioxide levels, blood pH, body position and other parameters that reflect your current physical and emotional state. Cardiovascular control centers in your brain collect and integrate the input from these nerves, and transmit signals to your heart's pacemaker to maintain, increase or decrease your heart rate. All of this occurs outside your conscious awareness. However, you can often voluntarily slow your heart rate by taking measures to influence signals sent to your brain's cardiovascular control centers. If your heart is beating too fast because of a medical problem, medications and other interventions can be used to slow your heart rate. Your level of physical activity serves as one of the strongest influences on your heart rate. As your level of physical activity increases, so does your heart rate. This adjustment ensures that your active muscles receive the increased blood flow they require without shorting blood and oxygen delivery to your brain and other organs. Reducing or stopping physical activity typically results in fairly rapid slowing of your heart rate. You can observe this response in real time if you use a fitness or activity tracker than monitors your heart rate. Your circulatory and respiratory systems work collaboratively, and the activities of one influence those of the other. The closely intertwined relationships between your breathing, heart rate and blood pressure is known medically as cardiorespiratory coupling. Slowing your breathing normally reduces your heart rate. This is true even if you are not breathing faster than a typical rate, as noted in a December 2017 review article published in the journal Breathe. Several mechanisms are thought to contribute to this effect, including an increased volume of air taken into your lungs with each breath and more efficient gas exchange in your lungs, among others. Practicing diaphragmatic breathing or slow yogic breathing exercises, or pranayama, can help you learn to slow both your respiratory and heart rates. Your mental state and emotions influence your heart rate, sometimes in a dramatic way. Fear, anxiety, worry, nervousness and stress activate a part of your involuntary nervous system called the sympathetic branch. This arm of your nervous system triggers the fight-or-flight response and controls the cardiovascular and respiratory adaptations that take place when you exercise. As you might expect, increased sympathetic nervous system activity in response to mental or emotional stress commonly leads to a fast — sometimes racing — heart rate. Relaxation can help reduce your sympathetic system's exaggerated response to psychological or emotional stress. Discovering what relaxation technique works and suits you best might take some experimentation. Popular techniques include meditation, visualization, progressive muscle relaxation, deep breathing and prayer. A fast heart rate sometimes indicates a short- or long-term health problem, some more serious than others. Certain types of heart rhythm problems, or arrhythmias, and anxiety disorders associated with a rapid heart rate can often be successfully treated with medication. More serious arrhythmias frequently require placement of a pacemaker to control the heart rate. See your doctor as soon as possible if you notice your heart rate is frequently or persistently fast without an obvious cause, such exercising. This is especially important if you have existing heart disease, experience a decrease in your exercise capacity, notice a lump in your neck, or are unintentionally losing weight. Many people hit to the gym or go for rigorous workout but there are ways to lose weight without exercise. Infact it is said that 70 percent of your weight loss depends on nutrition and only 30 percent depends on workout. Water doesn’t just remove thirst , drinking at least 12 glasses of water aids in weight loss. It keeps a check on your appetite and make sure you do not eat extra. One of the best age old weight loss tips is to drink warm water after you wake up in the morning. 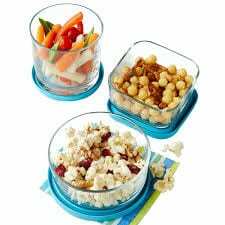 Healthy snacking is very important if you want to lose weight. So make sure you carry some nuts, makhana or any other healthy snack with you to deal with hunger pangs. Also it is good if you don’t keep any unhealthy snack at home. This will help you to avoid unhealthy food which will ensure you will lose weight without exercise. 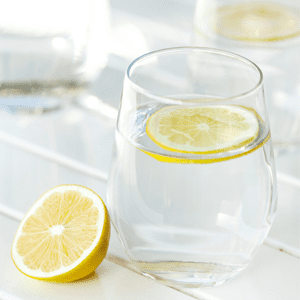 Start your day with a warm glass of lemon water with honey. You can boil some ajwain in water and drink it. These drinks are excellent in enhancing metabolism. 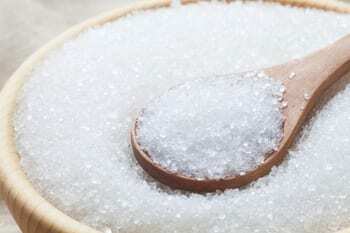 White sugar is not good for health and is directly linked to weight. So one can decrease the quantity of white sugar consumed by them. White sugar can be replaced with brown sugar or jaggery. Aerated drinks are loved by all of us especially in summers. But these drinks are full of sugar and caffeine thus a shortcut to gain weight. Avoiding them will go a long way in weight loss without exercise. One of the important weight loss tips is to eat at regular intervals . 6 to 8 meals a day is better than 3 meals a day. Eating on regular intervals will ensure that you do not eat extra in one meal and it will make you feel full fast. Take healthy snacks or fruits before lunch and in evening before dinner. One of the important weight loss tips is to has a diet which is rich in protein. Protein rich diet food has good impact on our body. It increases the feeling of fullness and helps you eat fewer calories. So replacing some part of grains with lentils and other protein rich food. 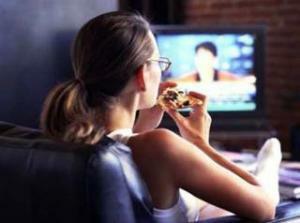 It is good to avoid watching TV or using cellphones while having your meals. This help you to focus on the food and eat small portions. Studies show that those who eat absent mindedly tend to eat more calories than others. These extra calories consumed on a regular basis will have a massive impact on your health. Lack of sleep disturbs the appetite hormones leptin and ghrelin. High stress levelsmay fluctuate your hunger times and increases cravings for unhealthy food. These simple tips can work great on you and you will lose weight without exercise or some conventional tiring workout routine. Gluten does not cause stomach bloating in most people. If you develop stomach bloating after eating gluten, the bloating is a sign of an underlying condition, such as gluten intolerance or an allergy to gluten. Stop eating gluten to determine if gluten is the cause of the bloating. Your doctor might recommend a gluten-free diet if your stomach bloating is related to an intolerance or allergy. Do not attempt to change your diet without the supervision of a medical doctor. The two conditions related to gluten are gluten intolerance and gluten allergy. Gluten is one of five proteins found in wheat, barley and rye. Gluten intolerance is the digestive system's inability to digest the gluten, which results in bloating, gas, diarrhea, nausea, cramping and stomach pain. A gluten allergy is not caused by the digestive system but rather is a hypersensitivity of the immune system. A gluten allergy will not cause stomach bloating, but will cause other symptoms to develop, such as asthma, hives and sinus congestion. Gluten is found in a wide variety of foods, and some medications contain gluten. When you’re on a gluten-free diet, you need to avoid the following ingredients: high-gluten flour, starch, wheat malt, semolina, durum, high-protein flour, bran, farina, bulgur, graham flour and wheat flour. Foods that commonly contain gluten include pasta, spelt, bread, cakes, cookies, breadcrumbs, crackers, cereals, couscous and cracker meal. Some processed food might contain gluten, such as ketchup and ice cream. Read the ingredients before eating any packaged food. Foods that are naturally gluten-free include fruits, vegetables, chicken, fresh meats, fish, rice and soy. Eat baked goods and breads that are made with flours that are gluten-free, such as rice flour, soy flour, tapioca flour, corn flour and oat flour. Only purchase package foods that are labeled “gluten-free.” These foods not only are made without gluten flours but also are not processed on equipment that is shared with gluten products. Foods that are considered gluten-free include nuts, yucca, buckwheat, arrowroot, flax, millet, quinoa and potatoes. Although you might be attempting to avoid gluten, eating even a small amount can cause serious complications if you’re gluten intolerant or have an allergy to gluten. Eating a tiny amount of gluten if you’re intolerant can cause permanent damage to your intestines. A gluten allergy can lead to anaphylactic shock, a severe and deadly allergic condition. A few dairy products are lactose free. These products include soy-based canned nutrition drinks such as Ensure, lactose-free milk, non-dairy creamers, rice milk and soy milk. Breads that are made without milk are safe from lactose, such as Italian and French breads. Other lactose-free starches include cereal made without milk, pasta, potatoes, rice barley, cooked grains, rice cakes, Saltines and whole-grain crackers. Sources of fat that do not contain lactose include margarine that is made without butter or milk, non-dairy creamers, oils, shortening and some salad dressings. All fresh fruits and vegetables are lactose free, including fruit and vegetable juices. Any cooked or baked fruits and vegetables that are made without milk products are lactose free as well. All freshly-cooked, plain meats, fish and poultry are lactose free (meaning no dairy ingredients have been added). Meat substitutes that do not contain lactose include cooked dried beans or peas, peanut butter and other nut butters, peanuts, seeds, soy cheeses, soybean products and tofu products. Most soups and sauces are made with some form of dairy. Plain herbs and spices are safe choices. Other lactose-free ingredients include vegetable or meat soups that do not contain milk, gravies that are made with water, broth, bouillon and consommé. There are many sweets and dessert options that do not contain lactose. Angel food cake, frozen pureed fruit bars, fruit ices, sorbets, gelatin desserts without added milk or whipped cream products, honey, sugar, syrup, molasses and powdered sweeteners. Jellies, jams and preserves are safe to eat. There are pies, cakes or other baked goods that are made without milk as well. Other food ingredients that are lactose free include calcium propionate, calcium carbonate, calcium citrate, calcium phosphate, cocoa butter, cocoa powder, coconut butter, coconut cream, cream of tartar, creamed honey, fruit butter, glucono delta-lactone, lecithin oleoresin, malted barley, grain-based malts, malt liquor, malt vinegar, milk thistle and shea butter. Gluten is a compound in many foods and has been linked to certain digestive problems, such as celiac disease. Although gluten has not been implicated in ulcerative colitis, you may try to follow a gluten-free diet if you are concerned that food is making your symptoms worse, particularly because the symptoms of gluten intolerance are similar to those of ulcerative colitis. Gluten is the name for a group of proteins and peptides, include gliadin, that are found in many grains. Grains that contain gluten include rye, wheat and barley. Celiac disease is a condition in which eating gluten causes inflammation of the small intestine. The intestinal inflammation results in severe pain, diarrhea and other problems of the digestive tract. Gluten intolerance is another condition for which you must follow a gluten-free diet. Similar to gluten intolerance, ulcerative colitis is another disorder that causes inflammation of the intestines. Ulcerative colitis typically only affects the large intestine, also known as the colon. Ulcerative colitis can also cause abdominal pain and diarrhea as a result of inflammation of the intestines. Patients with ulcerative colitis may also develop rectal bleeding, constipation and unintended weight loss. Ulcerative colitis is a serious medical condition that can cause debilitating symptoms. Because this condition is caused by the immune system attacking the lining of the large intestine, it can be difficult to treat. There is no conclusive evidence that ulcerative colitis is caused by diet, but some foods may exacerbate your symptoms. Typically gluten is not considered a food that will trigger ulcerative colitis; instead, dairy products, beans, broccoli, popcorn, alcohol, caffeine, raw fruits and vegetables and carbonated beverages are associated with triggering flare-ups of ulcerative colitis. However, if you notice that your symptoms are worse after consuming gluten, you should avoid all foods made with barley, rye or wheat. The symptoms of ulcerative colitis and gluten intolerance are similar, and it is possible to have both conditions simultaneously, in which case a gluten-free diet is essential. However, the two conditions affect different parts of the intestines and are caused by different kinds of immunological problems. As a result, if you have ulcerative colitis, it is unlikely that following a gluten-free diet will relieve your symptoms. Talk to your doctor before making significant changes to your diet.